and bring the power of essence and potential to your work. “This is such a powerful process that allows the participants “see” what they have “heard” and thus not only adds another dimension for the comprehension of what has been shared, but also deepens the exploration”. This is way more than making pictures. This is all about deep sensing, and deep transformation! Our trainings are unique in that you will learn the art of listening which we use when we work. We don’t just draw, we LISTEN. In fact, all the drawing is actually about listening very very deeply to people. When that happens, shifts also happen, and so do transformations. You will discover that you can create exceptional visual harvests when you master the art of getting out of your own way! So you gain a valuable life skill as well! 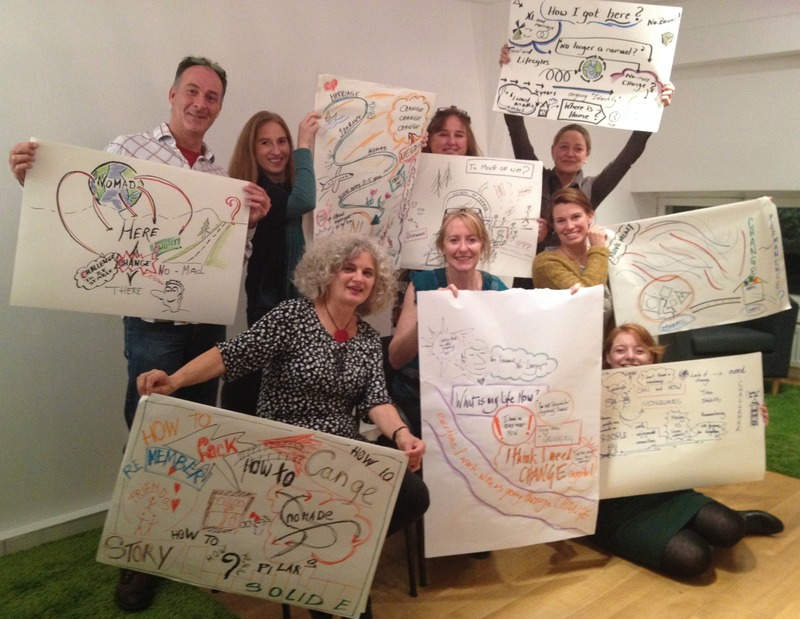 When you Learn Visual Harvesting with us, you will discover a whole lot more than you think! Visuals created during a conversation or meeting accompany and entice us into an edge, a new space, a potential waiting to be explored. 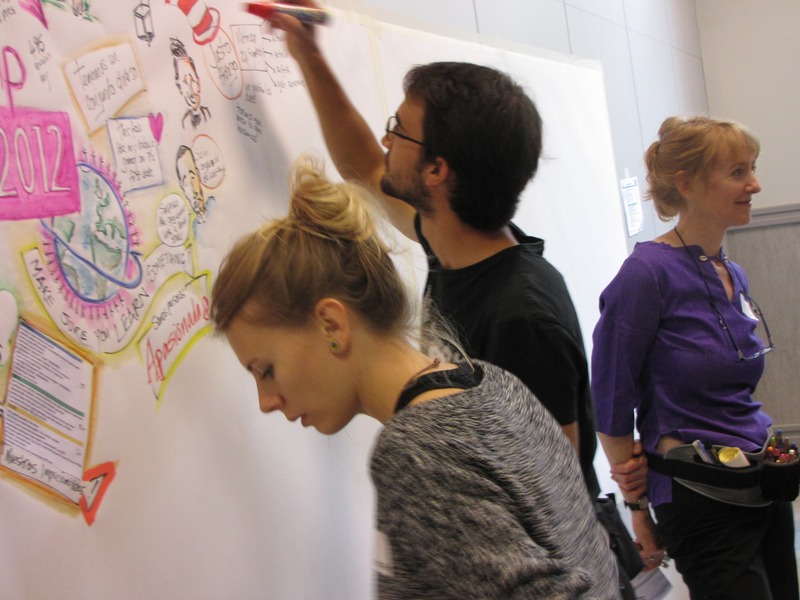 Apart from the obvious aid to clearer communication, Visual Note-Taking can also help us to become creative and playful with the misinterpretations we constantly confront. It gets us out of the box or between the lines where we are freer to perceive, reinterpret and recreate possibility. If you would like to enrol this workshop or to bring it to your organisation, click here. A special thank you to Vanessa and Amber for creating the most beautiful and inspiring visuals of the wisdom shared. I consistently sat across from a powerful message and personal reminder which I carried back to the States and had framed. I’ve attached a photo of this brilliant artistry so you can see that each of you are with me daily in my office.